He’s behind you! 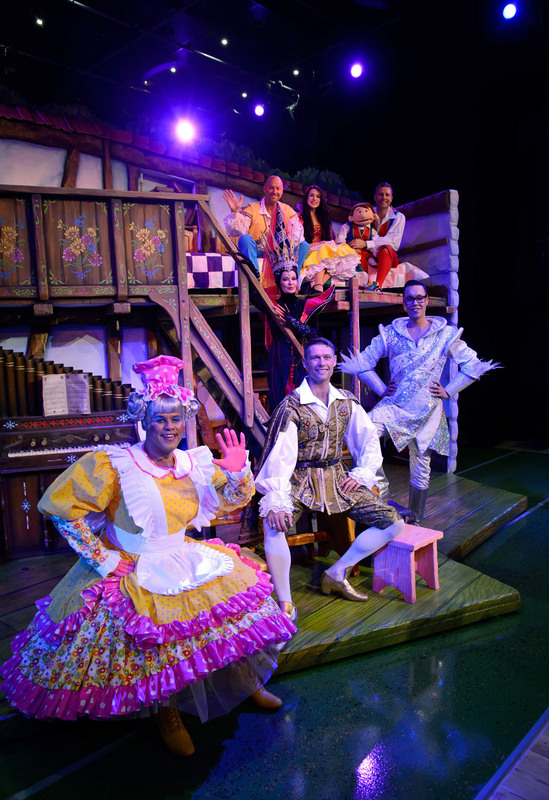 Panto season is upon us and if you are ready for a good dose of cheese then it doesn’t get any better the UK’s biggest Panto at the Hippodrome. Heading the cast as the handsome Prince is Eastenders’ John Partridge. John, who recently starred in A Chorus Line at the London Palladium, will be joined by everyone’s favourite fashion guru Gok Wan who will be making his pantomime debut in Birmingham as The Man in The Mirror. Springing out of the 80‘s Dynasty star Stephanie Beacham adds a touch of evil glamour as The Wicked Queen while light-entertainer Gary Wilmot will be joining her on stage for his first performance as the pantomime Dame. Following his popular appearance in 2008 ventriloquist Paul Zerdin returns in the role of Muddles with a few of his friends including the cheeky and loveable Sam! The headline cast is completed by Matt Slack who will play the role of Odd Job and Over The Rainbow winner Danielle Hope in the role of Snow White. This entry was posted in Birmingham, Theatre and tagged Birmingham Hippodrome, Panto in Birmingham, SNOW WHITE AND THE SEVEN DWARFS. Bookmark the permalink.